Thank you for the feedback and comments for the Bodybuilding 101 video series! It’s been awesome to hear others have found value in them. The goal of this online seminar has been to provide information to people who are interested or starting on their journey to competing in a physique competition or just looking to learn more about the sport. In this tenth video of the series I discuss the things to think about before starting your prep. Certainly some things you can’t plan on, but there are some things that you can. Here I discuss some of the factors to consider as you plan ahead. Also, stay tuned for video 11 for the final video of this series! If you find this helpful, please share and comment below. More videos in the series are coming soon! Video 1 introduction & contest format. Video 3: What it takes to compete. 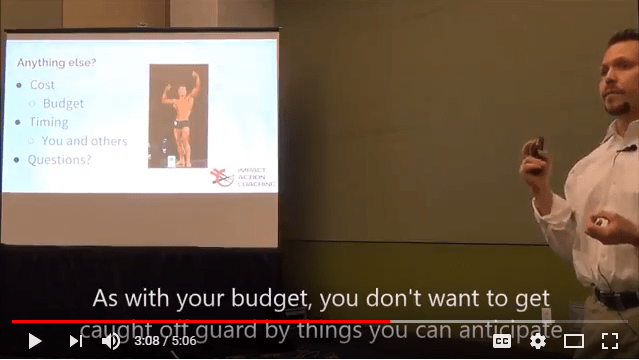 Video 4: How to accelerate contest prep. Ryan has been involved in the sport of bodybuilding for 25 plus years as a competitor, judge, coach and promoter in natural bodybuilding. His hope is that you find this video series full of information that you can either use for yourself as a new or potential competitor, a seasoned veteran that can relate to many of my experiences and add to the conversation, or somebody who wants to learn more about the sport of bodybuilding is about.